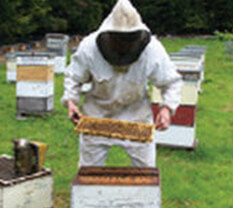 New Zealand’s primary sector is dependent on healthy pollination of fruit, seed and nut crops for its survival. Beekeeping has an essential role to play in this process and a Certificate in Apiculture can train you to be skilled and highly employable. We offer small classes with a hands-on training emphasis. 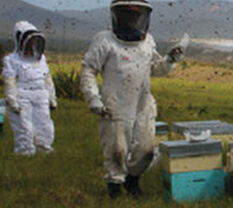 Beekeeping offers many exciting career opportunities, both in New Zealand and abroad, ranging from the hobbyist beekeeper through to ownership of a commercial beekeeping operation, research, or industry consultancy. 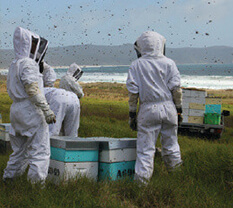 Graduates become directly involved in operating, owning or managing small to large scale apiculture operations in New Zealand and overseas.